The first race of the season is always a shock to the system and a shock to the legs. 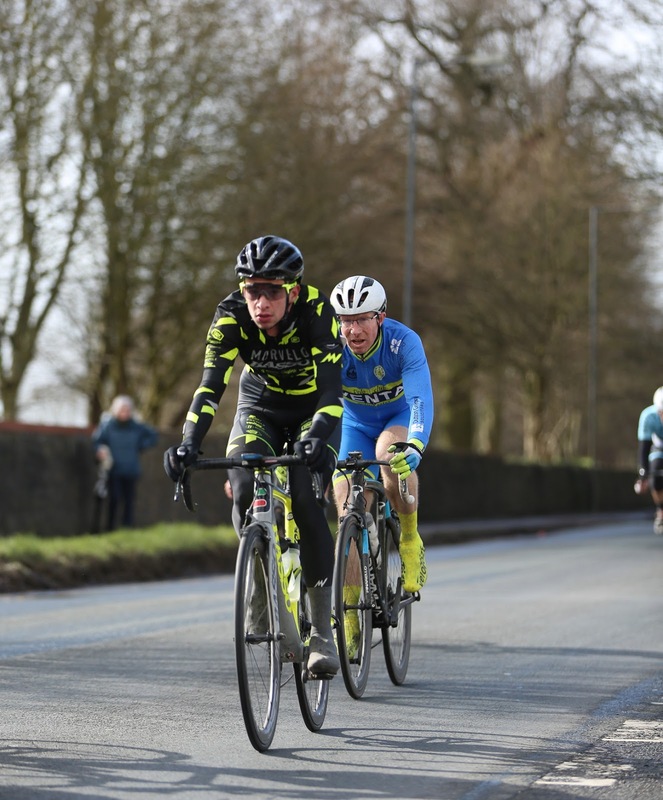 After having a great winter training block and 10 days riding abroad in a warmer climate I still knew It would the Severn Bridge race would far from easy. Most early season races tend to go off pretty hard and this was no exception. 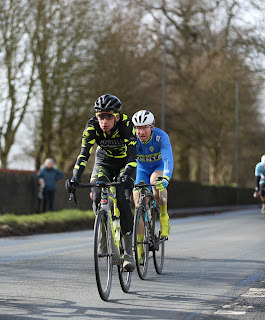 A relatively flat course with a short punchy climb at the end of each lap meant that the bunch would be strung out all over the road and 9 laps later a winner would be crowned. Strong gusty winds and wet weather made for an interesting race with many people finding it hard to keep warm and to keep in the wheels. A crash half way through as everyone was scurrying to keep out of the wind into echelons meant the bunch was split just before the climb and getting back on would really take some effort. I managed to keep with it till 2 laps to go when the efforts of chasing out of corners and trying to stay out of the wind took its toll and I couldn't keep the pressure on any more. For the first race of the season it was a good start and has definitely shown the areas which me and my coach need to look at and work on. The season is long and hard so we'll take some positives and work on the negatives.